Butterflies of this subfamily often occur in secluded groups that stay close to their host plants. 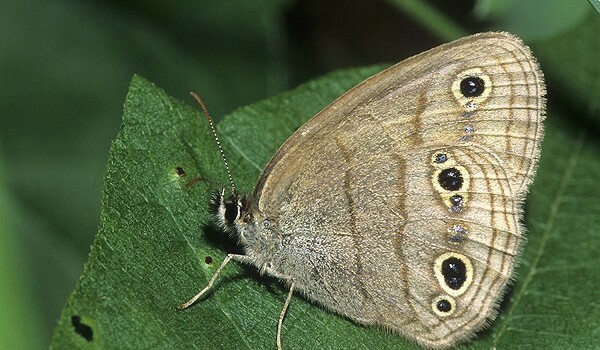 Many species have eyespots on their wings to keep predators away from more vulnerable body parts. They prefer eating sap, rotting fruit, or feces, but they also feed on flower nectar. Larvae generally feed on grasses and sedges. Females lay their eggs singly on host plants (grasses and sedges), or on neighbouring objects. The larvae hatch in summer or fall, and enter dormancy to over-winter. To survive extremely cold conditions, Arctic larvae dry out their tissues and freeze solid. In the spring, they resume feeding. Pupation occurs in a chrysalis: on the ground, under rocks or hung upside down. They may have single or multiple generations per year. None of the assessed species are considered rare in Canada. Some are listed as “sensitive” or “may be at risk” in parts of their range. 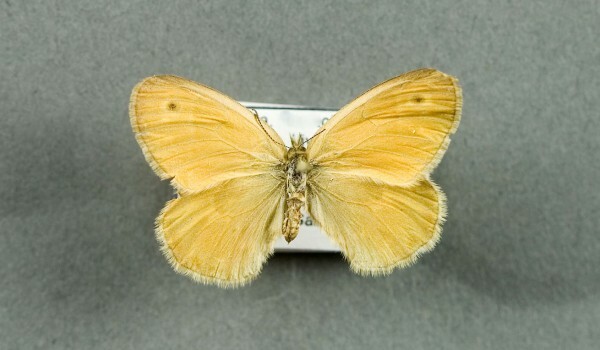 These medium sized butterflies have poorly developed front legs and relatively short antennae. 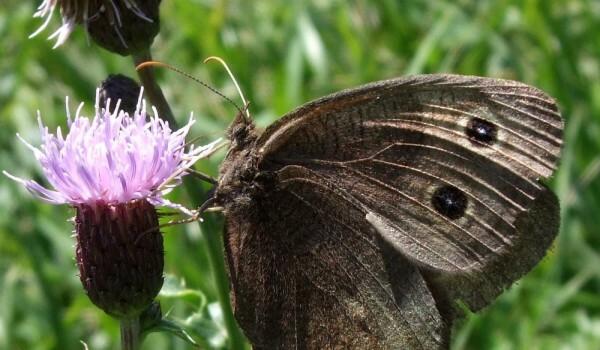 They are characterized by one or two swollen veins on each forewing. Wing coloration is usually dull, in shades of brown or gray, sometimes with zigzag patterns. Each wing frequently has a number of distinctive, darkly coloured eyespots. Males often have a brand of special scent scales on one or both sets of wings. Large grassy areas, including prairies, open meadows, old fields, clearings, and glades. Also in open sedge marshes, wet meadows, wet grassy roadside ditches, bogs, damp forest edges, roads and trails. The Arctics are usually found in cooler habitats.